Do not worry, you are not alone. There are thousands of individuals just like you in Montreal in need of quality and affordable house cleaning services! Who has the time or energy after a long busy work day, to deal with house cleaning. Our Montreal cleaning services provide safety, hygiene and a spotless home. Montreal Home Cleaners is our brand name and our growing client list is an example of the quality cleaning services that we provide to residences and businesses in Montreal QC. Our residential house cleaning services include checklists that take into consideration the size of your home, apartment, condo or business. We provide professional deep cleaning services for our house cleaning clients in Montreal as well as to our office cleaning customers in Montreal and surrounding areas of Quebec. Montreal Home Cleaners provide affordable cleaning services to the following areas: Beaconsfield, Cote St Luc, DDO, Dorval, Downtown, Hampstead, Lachine, Lasalle, Laval, Montreal West, Pierrefond, Plateau, Pointe-Claire, Rivière-des-Prairies, South Shore, St Leonard, TMR, Verdun, Ville St.Laurent and the West Island. We are here to satisfy your needs and to provide cleaning solutions to both business and homes in Montreal. Please ask us if what you need isn’t on the following lists. 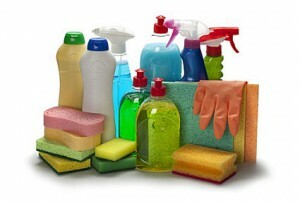 Please note: Montreal Cleaning Services do not bring product and equipment to our cleanings. Clients prefer to use their own products because they are used to the smell and know which products give them allergic reactions. Equipment, even if sterilized, can carry bacteria from home to home. Please also note : All jobs require a 3-hour minimum. Taxes are applicable to all cleaning services. Receipts provided with tax numbers.